This question stunned a crowd that had gathered in Kalangala town for a voluntary counseling and testing crusade on Tuesday. It was organised by Walter Clinic and Strides for Family Health, a USAID-funded healthcare initiative. When the over 400 people were given an opportunity to ask questions, Vincent Kyambadde volunteered his story. He said he was 52 and that every woman he married had died after suffering a painful illness that failed to respond to any treatment, until he decided to go for an HIV test. He had since had about 150 tests, all of which proved he was negative. Saturday Vision his confusing life of bereavement and futile attempts to rebuild his life. From witchcraft to proof When Kyambadde’s first wife, Jane Mirembe, failed to get out of bed in 1978, close relatives suspected witchcraft. As a peasant in Mikisa village, Bigasa sub-county, Masaka, he tried traditional healers to save her life. But Mirembe passed on a year later. Kyambadde moved to Kampala and started dealing in timber from Mukono. Three months later, he got a wife, Julie Nabuuma who, two years later, developed similar symptoms as his first wife before her health failed her. She died in 1981.They were living in Namuwongo. In 1982, Kyambadde shifted to Nateete, Kinaawa and got a third wife, Namande Namusoke, but this one did not last long. She died that very year after 11 months. Kyambadde was convinced that someone had cast an evil spell on him. Later, in 1985, when people started talking about AIDS, Kyambadde recalled the symptoms of his late wives. However, his fourth wife, Namaganda, whom he got in June of that year, looked like she would survive her predecessors’ peril. But she died in September 1987. The following year, Kyambadde went to Kakunyu, a landing site in Kyotera. There, he took his first HIV test. He was negative. The negative test encouraged him to marry Hasfa Nantumbwe in 1988. Four years later, she started falling sick. The two visited an HIV clinic and he was found to be HIV negative, although his wife was positive. “We tested several times and she was positive but I remained negative!” he says. When Nantumbwe passed on in 1992, Kyambadde returned to Namuwongo, Kampala but sometimes stayed in Kitintale. He married Justine Nakamoga in 1996. The two lived together for four years and had three children. When they returned home in Bigasa, she fell sick. They went for an HIV test and Kyambadde was found to be negative. Unfortunately, Nakamoga was HIV positive. She died in 1999. 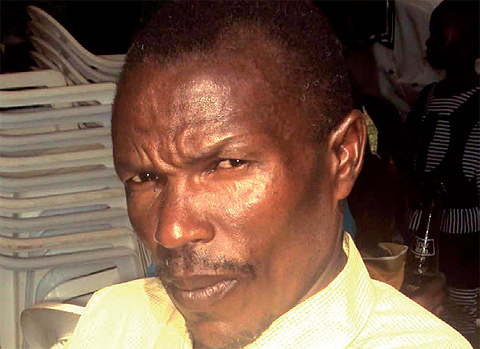 “Nakamoga’s death was so painful,” he told Saturday Vision. “She was so hardworking and caring. She was the best among all my wives,” he said. I did a lot of testing, in different clinics. But wherever I went, I was found to be negative. In total, I have tested about five times each year,” he said displaying his result slips. Eventually, he met Nabayengo, his current wife and they both tested negative. They got married in 2008 and now have two children. “All my six children are also HIV negative!” he said happily. Kizito added that there is no guarantee that Kyambadde’s wives, who died before testing, were HIV positive. They may have died due to other factors.